Keahn N. Morris is an associate in the Labor and Employment Practice Group in the San Francisco office. Keahn’s practice focuses on representing companies and management in traditional labor law and employment issues. He also focuses on helping companies prevent employee-related problems before they become lawsuits and labor relations issues. 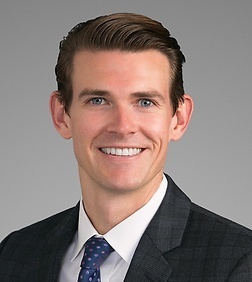 Recognized by Super Lawyers as a "Rising Star", Keahn was identified as a top rated labor and employment attorney from 2014-2018. Keahn has extensive experience in all aspects of traditional labor law. He regularly advises companies on strategic matters involving labor unions, including responding to union organizing drives and decertifications, union avoidance, outsourcing, strike preparation, strike management, lockouts, and replacement situations. He has handled large, nationwide corporate organizing campaigns and guided employers of all sizes including Fortune 500 companies through difficult labor situations involving collective actions, strikes, picketing, boycotts, and/or public relations battles by nearly all of the major unions in the United States. He has extensive experience handling labor arbitrations, unfair labor practice and representation cases before the National Labor Relations Board (NLRB) and the United States Courts of Appeals, and other federal court litigation involving complex labor issues, including injunctions. He has served as lead negotiator in collective bargaining negotiations – in situations ranging from “hard bargaining” to recapture management rights to more cooperative negotiations – in all cases designed to assist clients in achieving their primary labor goals. Keahn also represents employers in a wide range of employment actions in state and federal court and before governmental agencies, including disputes involving wage and hour class and PAGA actions, whistleblowing, wrongful termination, discrimination, harassment, breach of contract, trade secrets, and unfair competition. He regularly lectures on labor and employment-related topics, conducts management training, and advises clients regarding legislative and regulatory initiatives, workplace investigations, discipline and discharge matters, corporate transactions, reorganizations and reductions-in-force, preservation of management prerogatives, social media issues, workplace policies/agreements, and employment-related risk management. Keahn represents clients across a range of industries, including healthcare, hospitality, retail, food and beverage, wine, manufacturing, automotive, transportation, construction, emerging growth, media and games, and the “gig” economy. Prior to entering private practice, Keahn was a law clerk at the NLRB’s Division of Judges in San Francisco where he assisted judges with litigation related to the NLRA. He also served as an extern to the Honorable Judge Charles R. Breyer of the U.S. District Court of Northern California.